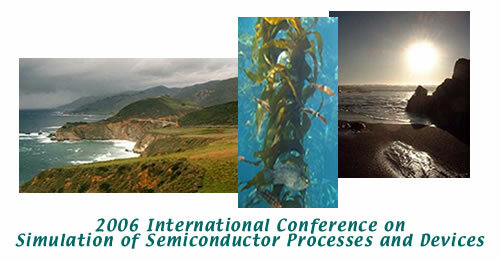 Preceding the conference at the Monterey Plaza Hotel will be a companion workshop on Tuesday, Sept. 5, 2006, "Gate Stack and Contact Engineering for sub-30nm FETs", organized by R. Dutton, Y. Nishi, and K. Saraswat of Stanford University. This workshop is targeted at the discussion of critical issues facing scaled MOS technology with emphasis on the gate stack and contact technologies. There are many challenges both in terms of technology and device design that need to be considered. It is now generally accepted that alternative materials are needed to maintain good electrostatics and to reduce parasitic effects. This workshop will explore these issues based on experimental and modeling work of leading experts in the field. We cordially invite you to attend SISPAD 2006 to learn more about state-of-the-art simulation models and applications, and to bask in the culture of the Monterey Peninsula.